We have a holiday weekend approaching and it’s hard to not look ahead to all the fun activities we have in store; good food, fireworks, some good music and maybe some spirits or two. School is staring back up, swimming pools are closing and each day is going to get darker a little earlier. With that being said, I’m not going to make this blog very long, instead I’m going to give it to you short and sweet and let you enjoy these remaining lazy days of summer. I recently had the opportunity to sit down with our Devilbiss healthcare account manager and discuss their product line and the services they have to offer. Being in the sleep medicine field for so long, I have developed blinders to anything that isn’t ResMed, Philips Respironics or Fisher and Paykel and needless to say, this meeting opened my eyes to an entire new product line for our customers. I thought sleep apnea customers were limited to a couple of options when it came to exhalation comfort settings, like C-Flex or EPR. It’s these types of comfort settings that help with desensitizing new CPAP users to what may be an overwhelming discomfort of breathing against the CPAP pressure. SmartFlex™ Technology incorporates rounded flowing technology that allows patients to exhale against lower pressures. Kind of look at it as a McDonalds and Burger King have always been in your neighborhood and now they’re putting in a Wendy’s. Not only does the Devilbiss product line have one of the smallest footprints in the industry, it’s freakishly quiet and doesn’t have that bulky power brick that you see some of the newer model carry ( Yes, System One and S9 Series, we are talking about you). Everyone can claim that their CPAP is made for travel, with sleek designs and lightweight shells, but when your power supply is the size and weight of a landscaping brick what screams travel about that. Fisher and Paykel Icon, you get a free pass on this one since your power supply is built internally (and you have that cool alarm clock feature). The Devilbiss product proudly wears the badge “Made in the USA” and comes with a 5 year warranty, just let that soak in for a second…….a 5 year warranty. Sounds like someone really stands behind their product line. If you are price shopping you are not going to find a better deal either. 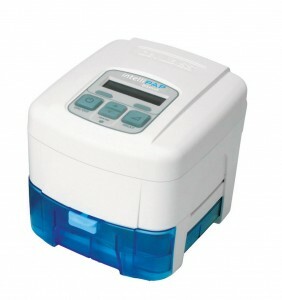 Did I mention they offer a multiple selection of CPAP, Auto CPAP and Bilevel, and Auto Bilevel devices? The Devilbiss IntelliPAP Standard CPAP system is your typical fixed pressure CPAP machine with optional humidifier and comes in the Standard or Standard Plus (SmartFlex equipped). 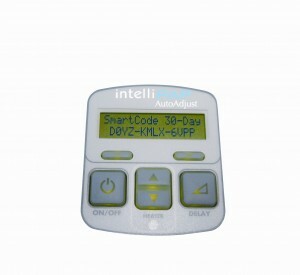 The Devilbiss IntelliPAP AutoAdjust™ is an automatically adjusting pressure device or self titrating as some may call it. There are also the Bilevel and AutoBilevel machines; these machines offer 2 separate pressures that are designed for inspiratory and expiratory. We are getting a lot of positive feedback from our friends in the transportation industry about the design of the device; the humidifier water chamber is placed underneath the CPAP unit, not to the side. CPAP machines with humidifiers that are attached to the side may be prone to water getting into the unit itself which can damage the vital components. Compliance reporting, which will be a huge asset in logging and reporting therapy compliance gives the end user the opportunity to view this data on screen or load it to an e-based site. Durability-the cab of a truck cab be a hazardous place to live if you’re a delicate piece of equipment and these truck drivers need a small and durable unit that’s going to last. 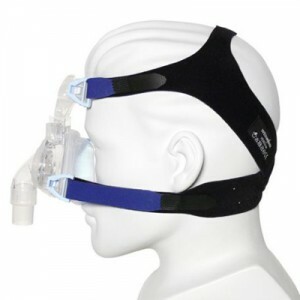 Do yourself a favor and be sure to check out the wide variety of CPAP masks Devilbiss has to offer. We are currently adding more and more of their products to our site as we speak, so don’t be shy if you don’t see the Devilbiss product you are looking for on the site; give us a call and we’ll get it for you (at the lowest price we can too). Have a great holiday weekend and be safe! What is That CPAP Thingy Called?